01 Mix the balsamic glaze, brown sugar and chilli sauce together. Peel and chop the garlic finely. 02 Stir the mixture and butter and marinade the lamb. Let it marinade for 1-3 hours. 03 Wash the tomatoes and halve them lengthwise, add the grated parmesan, garlic and basil to the breadcrumbs then season with salt and pepper. Add the tomatoes to grill basket and spread the green crumbs on top of the tomatoes. 01 Pre-heat your grill to high, direct heat (250◦C). Place the meat directly on the grill and sear both sides for 2 minutes. 02 Now adjust the grill to medium, in-direct heat (180°C). 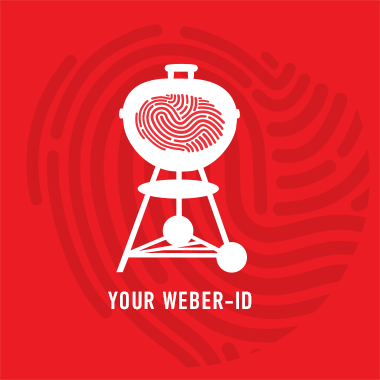 If you are using the Weber Q models, use a roasting rack and aluminium Roasting Shield. 03 Roast the lamb on in-direct heat for 20 minutes or until its cooked to your liking and allow to rest. 04 Roast the lamb on in-direct heat for 20 minutes or until its cooked to your liking and allow to rest. 05 While the meat is resting cook your tomatoes over in-direct heat for 15-20 minutes - until the bread crumbs are crisp.